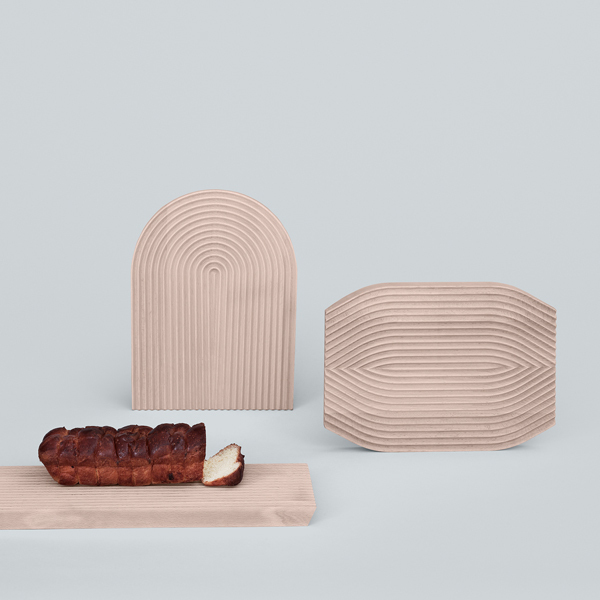 The Field cutting board by Shane Schneck for Hay is a combination of beautiful design and functionality. 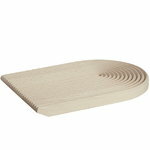 The grooves collect the crumbs so you don't have to clean the table after using Field cutting board. Due to it's elegant form, the beech cutting board can also be used for serving. Available in two sizes. Shane Schneck is an American-born and Stockholm-based industrial designer. He was born in Chicago and studied Architecture at the Miami University, Oxford, Ohio. His background in architecture and multidisciplinary approach led him to Milan in 1999 to collaborate with Piero Lissoni as Senior Industrial Designer at the Lissoni Associati. Today he has his own design studio in Stockholm, Sweden. Shane Schneck has worked on numerous projects for companies such as Alessi, Axor Hansgrohe, Boffi, Cappellini, Kartell, Fritz Hansen, Flos, Olivari, Hay and Muuto. For Hay he has designed the versatile Ru chair, a piece of furniture created to respond to the contemporary demands of the home and work milieu. The Ru chair is a perfect example of Shane Schneck’s work, a design that merges contemporary needs and new technologies with simplicity, ease of use and lasting value. 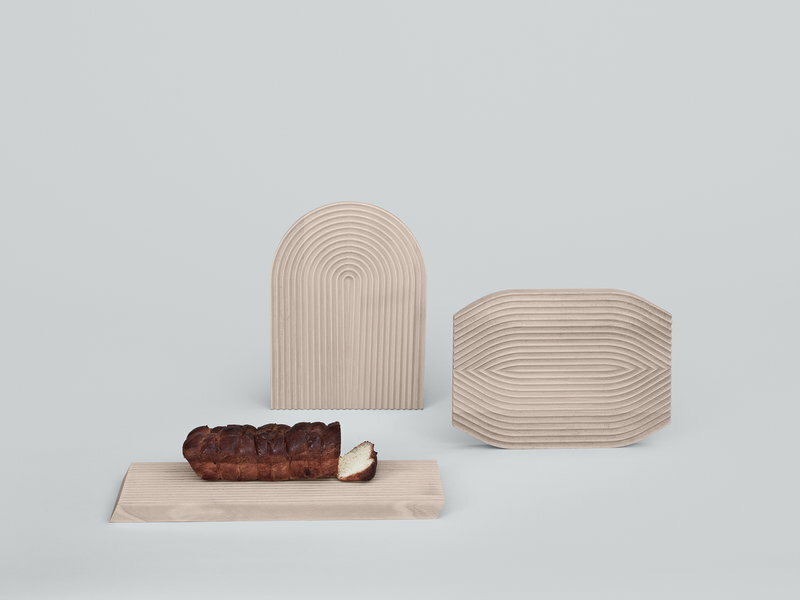 Shane Schneck’s studio is based in Stockholm and develops products that range from chairs to mobile devices. The studio has been presented at St. Etienne Design Biennale, Salone Satellite (*Wallpaper Best new group and Design Report nominee), Promosedia selection by Invitation and was recently awarded the IF Gold Award for Innovation. In 2016 Schneck won the Bruno Mathsson Award together with Clara Von Zweigbergk.